Last month, we were lucky enough to interview Eric Anderson of Cataldo in advance of the album release for the band’s excellent third album, Prison Boxing. Excerpt below and click through to the full interview here. 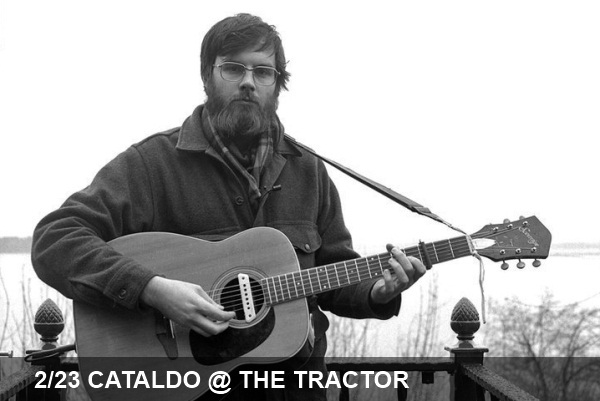 We’ve said it before and we’ll say it again: Cataldo offers audio fare that falls somewhere between The Weakerthans and The Decemberists. Eric’s ability to craft (sometimes painfully) honest folk-tinged songs infused with clever wordplay and a strong dose of pop sensibilities has made Prison Boxing a regular musical accompaniment to our (sometimes mundane) daily routines. The local band has made several appearances at our favorite venues these past months and tonight will take the stage before Breathe Owl Breathe at the Tractor.